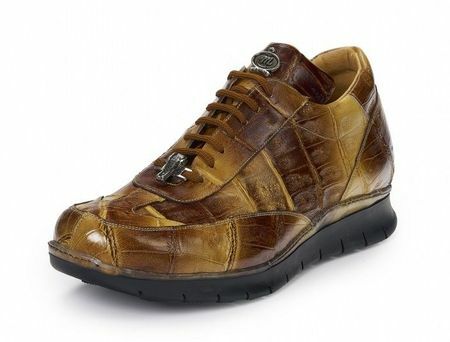 These hand painted brown crocodile sneakers from Mauri are the high quality shoe you are looking for. They are made of baby crocodile skin and hand painted and finished in a rich brown color like Hennessy. These exotic skin crocodile sneakers will not be like anything else anyone else is wearing because they are made for the man with unique style and doesn't want to be seen wearing what every other dude is wearing on his feet.